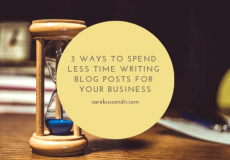 Do you find you spent too long creating content for your business blog? Do you struggle with consistency? Then you might want to try batching your content creation. 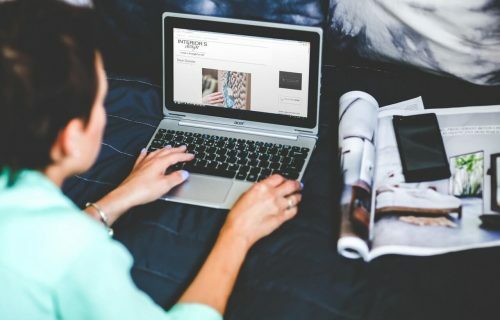 To find out more about that, you should read the first post in this blog series – How to batch content writing for your business blog – planning your blog content? And if you’ve read the post and followed my suggestions, by now you should have created a system to capture your blog ideas – I call it your Ideas Bucket. You should have also taken some time to plan your content for the upcoming month. 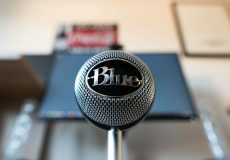 So if you’re now clear on what you’ll be writing about, it’s time to look at the next step: outlining your blog posts. First thing first, I’d like to tell you why taking the time to outline your four blog posts for the month at once is a great idea. It helps you make sure you have enough ground to cover. If you find that actually, you don’t have much to say on this topic, you’re better off taking it off your list before you spend any time writing it! It makes ‘writer’s block’ a thing of the past. When you sit down to write starting from an outline, you can be sure you won’t be short of things to say. No need to feel stuck anymore! I’m stating the obvious here, but outlining first makes writing your blog posts a lot quicker! 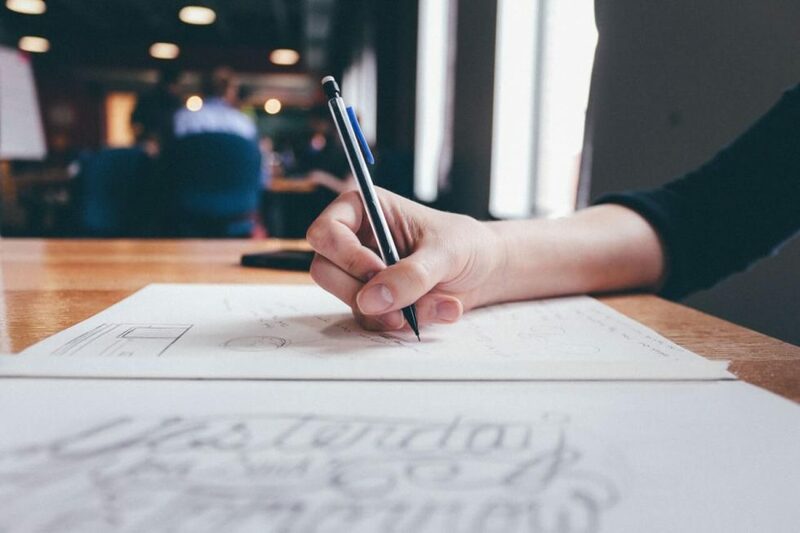 When you create your outline for all the four posts and then walk away from them for a while, you’ll notice you start to come up with amazing ideas for content to add. This will make your blog post stronger. You’ll be able to publish more useful, more engaging, and more valuable content for your readers. 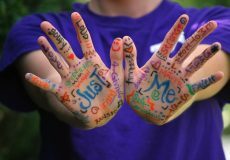 So don’t underestimate the power of outlining! It helps you generate even more content ideas. If you find that the points you’re coming up with while outlining need ‘more airtime’, you’re better off making a note of them (i.e. 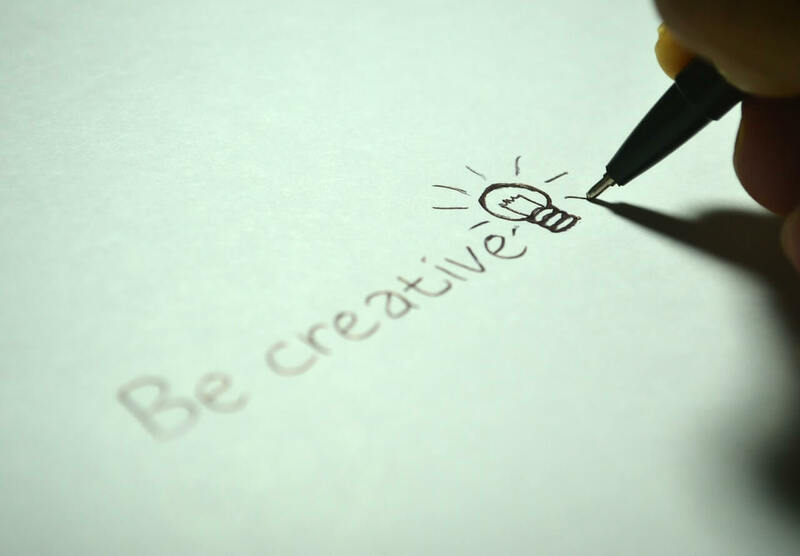 add them to your Ideas Bucket) and covering them in a separate post. 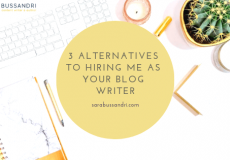 I hope the reasons above are compelling enough to convince you to set aside some time to outline your blog posts before you throw yourself into writing them! If you’ve followed the steps I covered in my previous post about planning, you’ll be starting the outlining process from a well-formed Ideas Bucket. How long did the planning take you? Half an hour to an hour? Not bad for four blog posts, right? So now I’d invite you to set aside a similar amount of time (half an hour to an hour) to outline your four blog posts. We’re going to outline them all together because even though you may be covering different topics in your posts, you’ll be using the same part of the brain to carry out this activity. By concentrating on one task, you’ll avoid switching between activities and engaging different parts of our brain. This makes you more efficient and productive, and we all know how important that is when you’re running your own business! So grab your pen and paper or whatever app or system works for you, and start the outline for your four monthly blog posts. I generally use Trello, but if I’m at the laptop I may even create four draft posts in the backend of my website and outline them in WordPress. It saves me a copy-paste job! What’s your blog post all about? Just jot that down without thinking too long and hard about it and use the topic as your temporary blog post title. At this stage, you’re not looking to come up with anything fancy or clever here. Just state the obvious. We’ll come up with a real title a little later. For ease, let’s use an example. So let’s just imagine you sell garden plants and want to write a blog post to teach your prospective customers how to look after their cyclamen plant once they’ve bought it from you. You don’t want to call your post something cryptic like: ‘Tips for plant lovers’. (Is that even a thing?). Google would never point your ideal client (looking for this type of information) to your blog post. And they’d never find it! So keep your title simple and to the point. It may not be fancy, but for now, let’s go with: ‘How to care for your cyclamen‘. We can always refine it later. Bring yourself back to why you decided to cover this topic. What does your ideal client want to know about this topic? Think about 5 to 10 points you want to write about in your blog posts. These could be sequential steps, like the ones in this post I’m writing. Or it could be a list of relevant pieces of information about that topic. If you’re writing a ‘listicle blog post’ (something along the lines of ‘10 reasons why you should buy seasonal plants for your garden‘), just list your points. Use bullet points and don’t worry about writing in full sentences. You’re just making some notes to remind yourself of what you’ll be writing about. If bullet points don’t work for you, do whatever gets your juices flowing. So if you’d rather create a mindmap or a flowchart, use a whiteboard or stick post its on the wall, do that instead. Let’s stick to our gardening example. You sell cyclamen on your online shop, and you want to capture online traffic from local people looking to buy a cyclamen plant. The problem is they’re not sure whether they want to buy it right now (for themselves or as a gift) because they don’t know how easy it is to care for that plant. So you want to be the expert telling them all they need to know to make an informed decision. And once they’ve been wowed by your post, they’ll hopefully head over to the online shop and add a plant to their cart. That’s the plan anyway. So what could you write in your blog post? How much light the plant needs. The ideal temperature for cyclamen. Space you need to leave around the plant to allow it to grow. What to do when flowers fade and fall. That’s already 7 points right there! See how quick and easy it is? Now that you have some key points, I’d like you to make some more notes under or around each of them. When it comes to writing your post, you’ll need to make sure you break the information up to make it easily-digestible for your readers. That’s because as much as we’d like to think that people do, no one reads our blog posts word-by-word. Plus, unless your post looks easy to read, it may not engage your ideal audience at all. So think about your key points as your ‘sub-headings’. In other words, your key points are the titles of each of the paragraphs you’re going to write. Once you’ve got those, you’re ready to add some flesh to the bones. Make some extra notes about the points you’ll want to write about under each title. The notes you’re making now will eventually turn into paragraphs. But remember that you’re only creating an outline here. Don’t bother writing full sentences and don’t worry about grammar and form. This is useful because if you find that you don’t have enough to say, maybe you should consider scrapping that point (or that post) altogether. And if you have too much to say, you can decide to write a ‘spin-off’ blog post. And by that, I mean a separate blog post that’s related to the topic you’re outlining and that will be linked to this post once they’ve both been published. Repeat this for the four blog posts you had planned for the upcoming month, and in a very short space of time, you’ll have created an outline for them all! Isn’t that amazing? 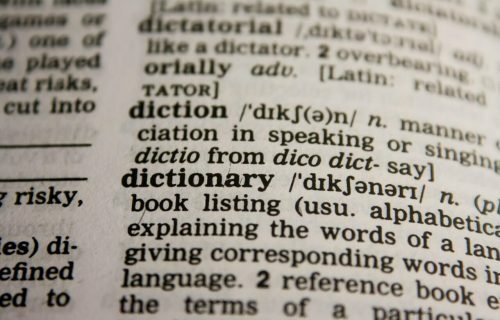 Effectively, you’ve just come up with the skeleton of a blog post topic (with a temporary title), a few sub-headings, and a number of points under each of those. Depending on how many notes you’ve jotted down, you may now be sitting on 200-300 words already. 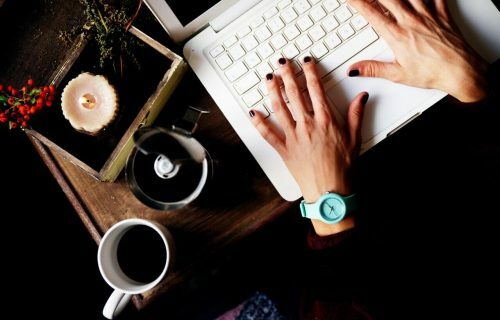 Can you see how much easier it’ll be to write your blog posts when you sit down to write? Drafting your posts with the outlines as a starting point will be a bit like filling in the gaps! And the steps above may have only taken you about 10-15 minutes for each of the posts you’re planning to write. You’ll have also given each topic and post enough thought to course-correct if needed. If a topic isn’t right, you can pull another one out from your Ideas Bucket. And if your plans for the month change, you’ll have the outline ready for another month – nothing is lost. How did you find the outlining process? I hope you found this useful. 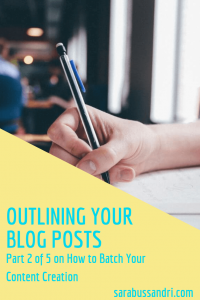 The next post is all about drafting your blog post so head over to the next part of the series if you want to find out more. And I know it’s hard to make the time, but if you follow this process consistently, over time, you’ll be able to create an amazing library of content that will attract the right audience to your website (while you sleep or do what you love!). If you have any questions, or if you’d like me to take you or a team member through this process during a one-to-one, you may be interested in my teaching sessions. 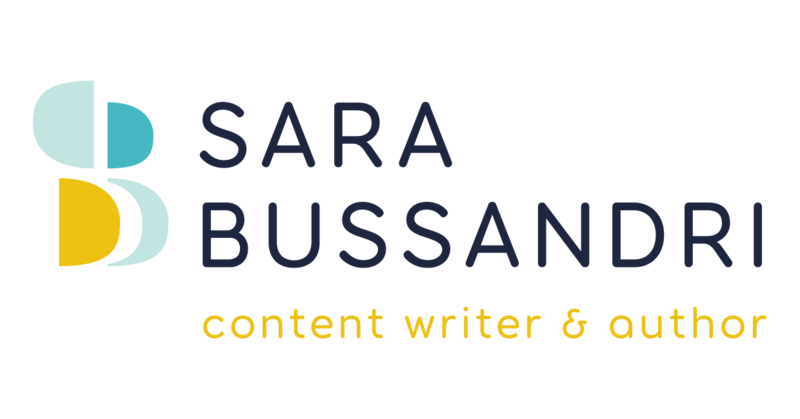 Just drop me an email at hello@sarabussandri.com and we can talk about which session may be right for you.